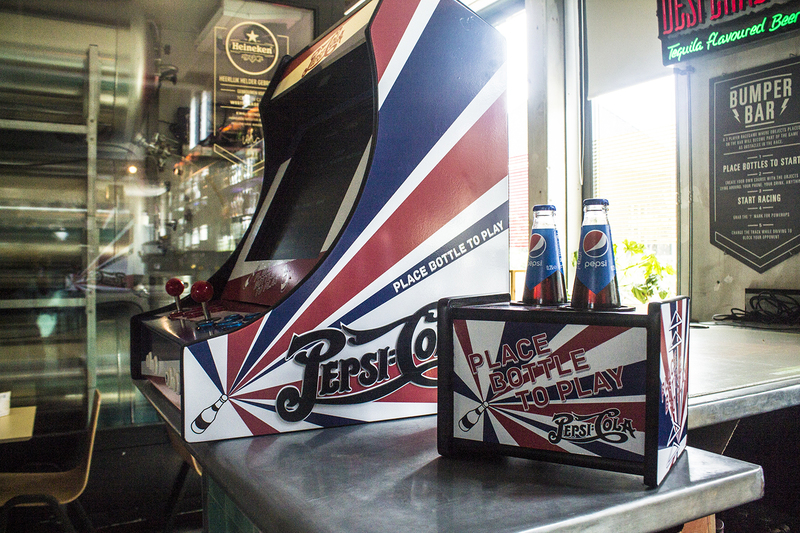 For Pepsi I build a Tabletop Arcade, which can only be activated by your Pepsi bottle. 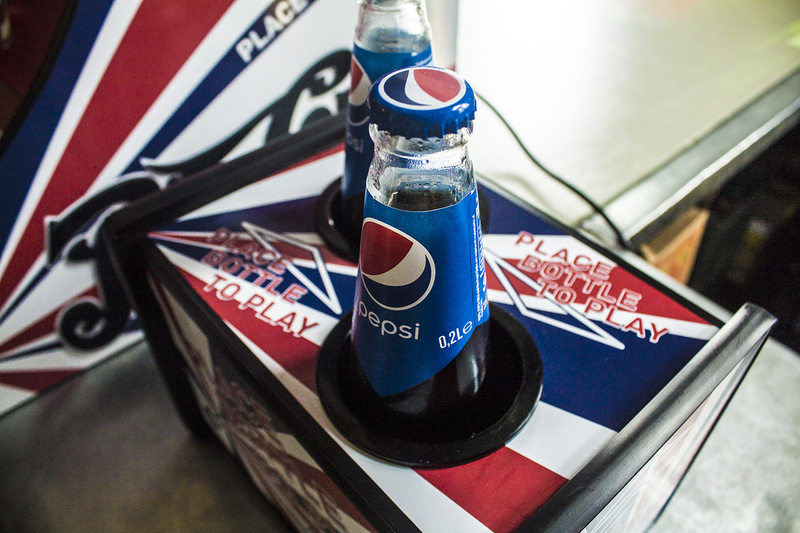 Instead of throwing in a coin, there is a module next to the machine in which your bottle fits perfectly. 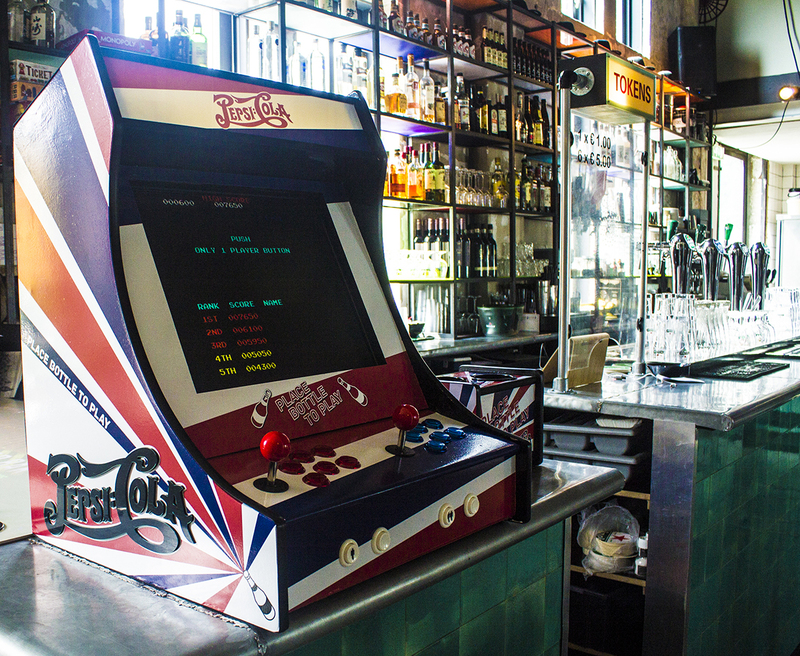 Once it’s placed a credit will appear on the machine and you can challenge somebody for a game. 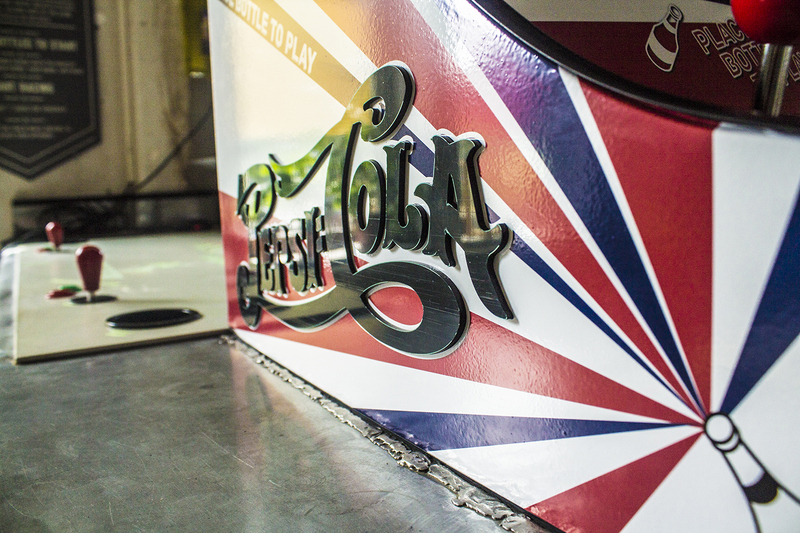 It’s a custom wooden body, with stickers wrapped around the entire machine. Build, design & electronics done by me.